Available without a prescription, ALOE M.P. 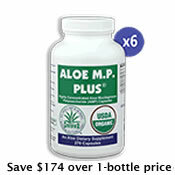 PLUS® is a powerful Aloe Mucilaginous Polysaccharides (AMP) based non-toxic supplement. 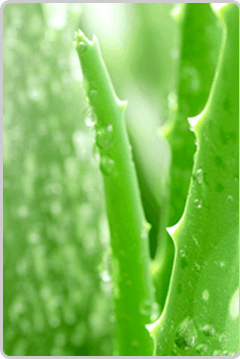 Organic Aloe Vera polysaccharides extract is the primary ingredient in Aloe M.P. Plus, and is an important nutritional supplement. Proper nutrition and digestion is essential in fighting illness and maintaining general good digestive and immune health. Aloevin® Corporation, in business for 16 years, continues to bring you best International Aloe Science Council (IASC) certified AMP capsule product available. FREE Shipping - All US and UK/EU regular shipping is now free. Multi-bottle orders to Canada and other countries also ship free. We are pleased to announce the new stronger formula Aloe M.P. Plus, with double the amount of polysaccharides. Learn more here. *Individual results do vary. Read our testimonial disclaimer. **Individual results do vary. Read our testimonial disclaimer. Aloe M.P. Plus now contains 375 mg. of the highest quality organic AMP extract in each 500 mg. capsule, along with low-allergenic, nutritional, and easy to digest pharmaceutical grade organic rice protein. There is more good news! The capsule covering is made of smaller, easy to swallow vegetable capsules for the benefit of those with vegetarian, kosher, and cultural needs. We are aware that other companies claim similar amounts of AMP in their products. Aloe M.P. Plus contains only the highest grade of stabilized and IASC certified AMP extract. There are lower grades of aloe containing much lower and much less costly amounts of AMP, and bulk Aloe Vera solids. Aloe M.P. Plus meets all FDA manufacturing and labeling requirements. The FDA does not certify non-prescription supplement products, as others may claim. We stand by our 16 year record of wonderful results and our many worldwide satisfied customers. The information, products and statements contained in this web site have not been evaluated by the US Food and Drug Administration. This product is not intended to diagnose, treat, prevent or cure any disease. Copyright Aloevin Corporation. All Rights Reserved.